Beautiful, Beautiful, Beautiful! And Privacy!!! 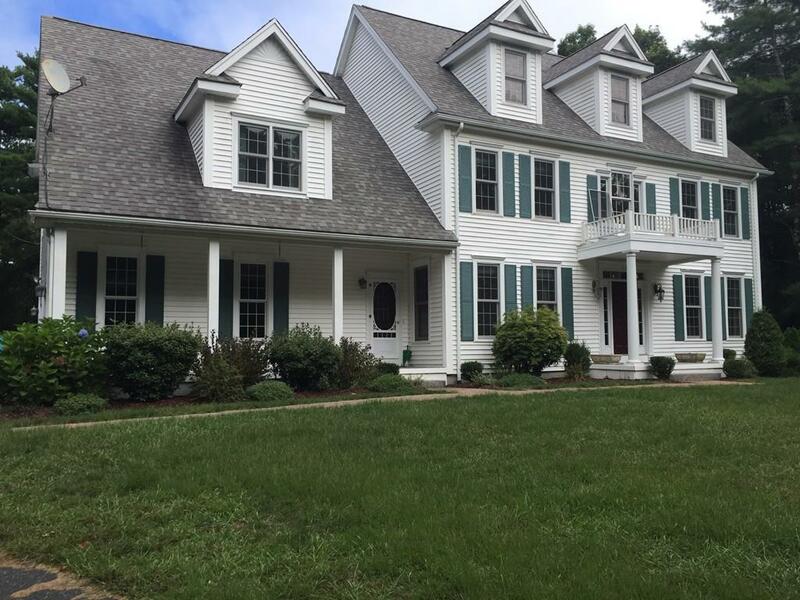 4 Bedroom Colonial, on almost 3 wooded acres, minutes to Ellisville Park/Harbor. Over 3800 sq. ft of living space. First floor includes; large family room w/ gas fireplace and sliders to the fenced backyard, large deck and hot tub, for your enjoyment. Spacious kitchen w/island feature granite countertops, gorgeous h/wood floors through out dining room and living room space, along with your own private office complete the first floor. Second floor has Large Master bedroom, cathedral ceilings, gas fireplace, double vanity, jetted tub and plenty of closets with 3 additional bedrooms. Includes second floor laundry. Walk-up 3rd floor can be 5th bedroom, with private bath, additional office, or playroom. Property has an "additional" 2-car detached garage for the auto or sport enthusiast. Potential workshop, additional recreational vehicles, many possible uses. Bring any of your Buyers in this price point, they won't be disappointed. Listing courtesy of Bob Case of Re/Max Spectrum. Disclosures Seller Disclosure Attached To Listing. Listing provided courtesy of Bob Case of Re/Max Spectrum.